Senior Computer Vision Engineer at Momenta Inc. Formally, I was a Research at Megvii (Face++) after receiving my Master degree from Tsinghua University, School of Software. 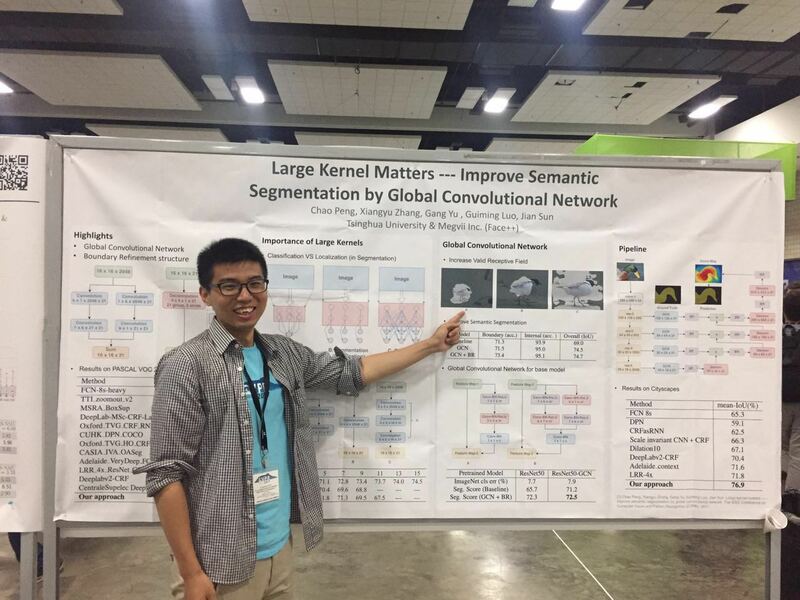 I'm also one of the reviewers in CVPR 2019. COCO Panoptic Segmentation and Mapillary Panoptic Segmentation. As for COCO Panoptic Segmentation, our results have outperformed the Human Consistency. Our paper MegDet has been accepted by CVPR 2018 as Spotlight. We have won COCO and Places Challenges 2017 with two champions on: COCO Detection and COCO Keypoint.